In the middle of the Rocky Mountains in Colorado, Highway 40 and 34 wind through the mountains and many popular ski towns. But if you pass by the ski resorts during the off-season you’ll find a small town whose lack of ski lanes makes is far less popular. In fact, its tourist season is in the summer when the warmer weather invites tourists headed to Arapaho National Forest and Rocky Mountain National Forest. Welcome to Grand Lake, Colorado. Grand Lake is actually considered to be the snowmobile capital of the United States due to it’s remoteness. 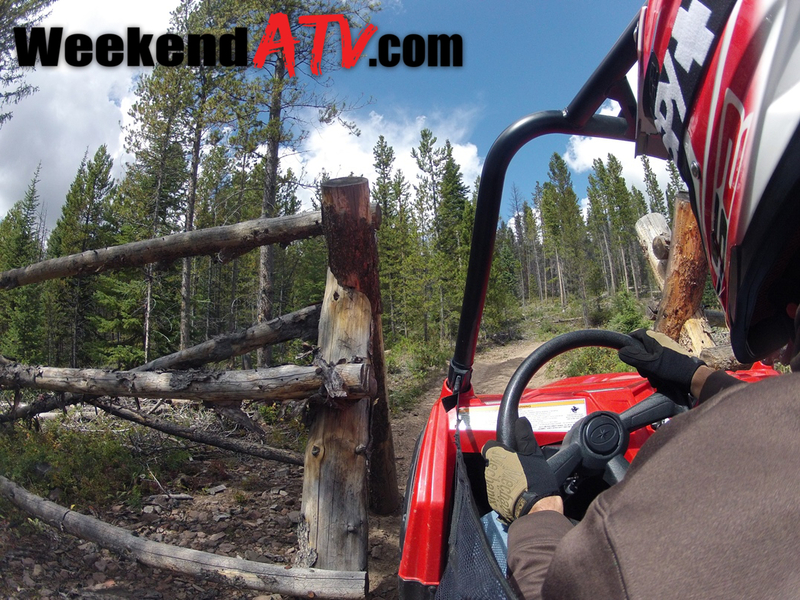 But during the short, summer months, the area provides some of the best ATV riding anywhere. We booked our stay at the Winding River Resort just north of Grand Lake and on the outskirts of Rocky Mountain National Park. Winding River Report offers lodge rooms, cabins and camping lots for any type of camping. The resort also offers many recreational activities like a petting zoo, horseback trail rides, playgrounds and so much more. There are other hotel and lodging options in Grand Lake, but only the Winding River Resort sits directly on the North Supply Kiosk trailhead. Since we utilized air transportation to get to our destination, we found it necessary to rent so we could enjoy the trails. On the grounds of the Winding River Resort is also On The Trail Rentals. OTTR rents Polaris ATVs and side-by-sides during the warm months(May through September) and Ski-Doo snowmobiles during the winter. They buy all new units at the beginning of each season and maintain them meticulously. 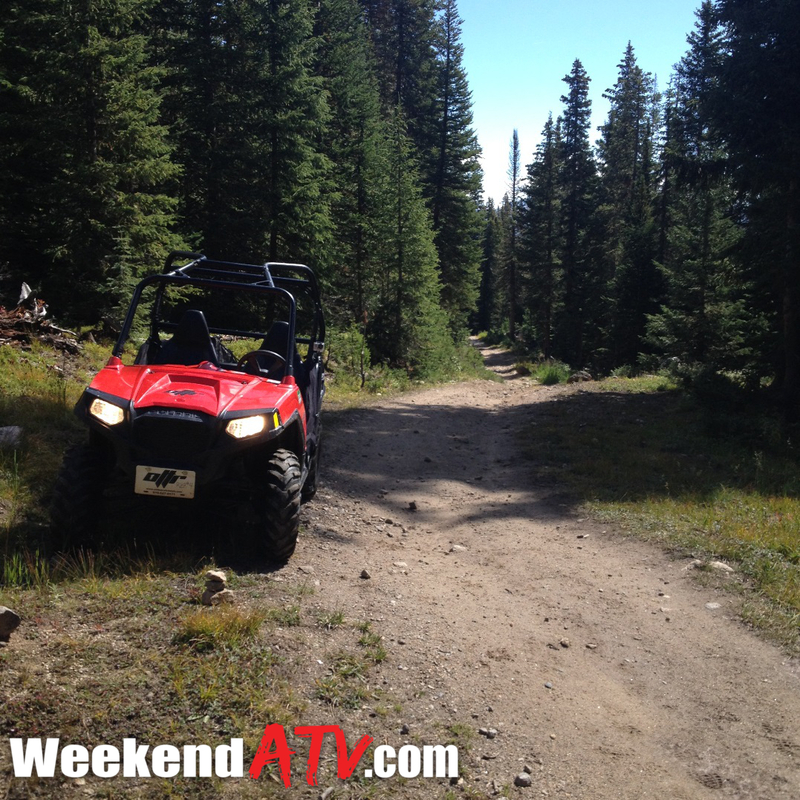 We opted for 8 hours on an RZR 570, giving us access to most of the narrow trails thanks to the 50-inch width. With a discount for staying at the resort we paid just over $300 which includes a trail map, a tank of fuel and helmets. During the 2014 riding season you can choose between a Polaris Sportsman 570, the 2-up Sportsman Touring 570, the Sportsman Ace, RZR 570 and Ranger Crew. If you bring your own OHV then you can launch from the Idleglen Staging Area nearby. The Idleglen kiosk has restroom facilities. The Stillwater OHV Trail System, also known as Stillwater Pass, offers over 130 miles of trails. It’s a great mix of wide roads for beginners to moderately technical rocks climbs to narrow passes that even the RZR 570 couldn’t venture through. In all, we treked about 70 miles through the trails, discovering some of the most beautiful scenery and wildlife you’ll ever see. Speaking of wildlife, if there is a moose on the trail ahead of you he owns it. Be patient! About two-thirds of the 130 miles is wide dirt road with plenty of passing room in most places. But the real adventure starts on the other third, the narrower trails. Middle Supply Creek, Blizzard Pass and Camway trails were said to be too narrow for our RZR. 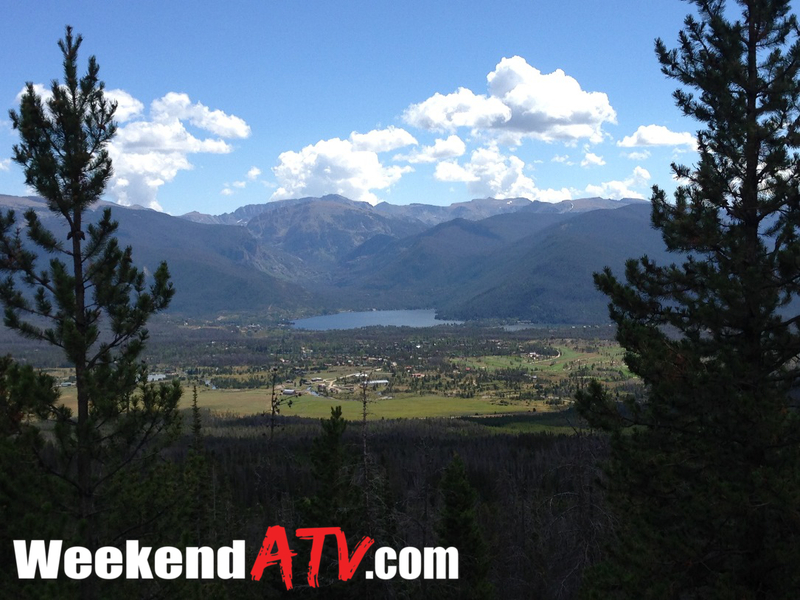 But we had a great time on the North Supply Loop, Soda Pass and Spruce ’em Up Jack trails. Lower Gilsonite also provided some great canyon views. Be sure to pack a lunch and eat at the picnic area at the peak of the Eagle Perch trail where you can see all of Grand Lake. 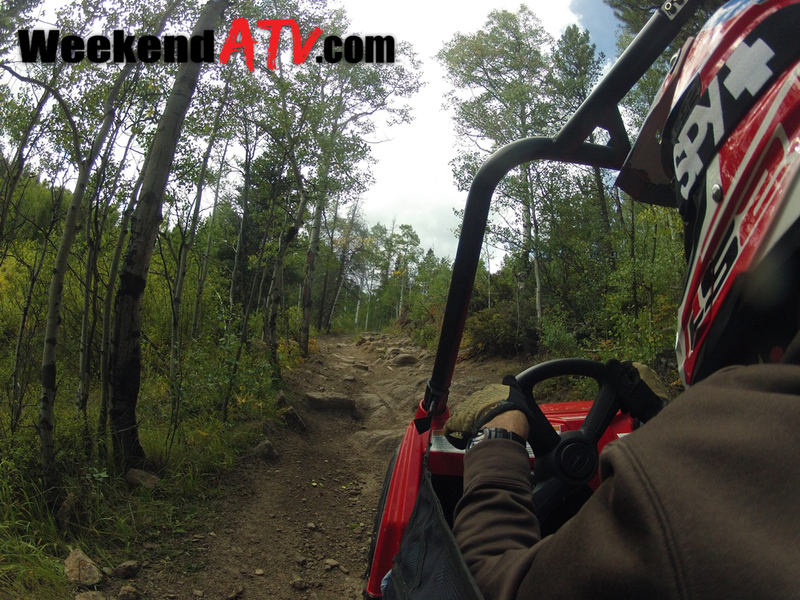 If you are hauling your own ATVs, note that you will need to register your OHV with Colorado State Parks. 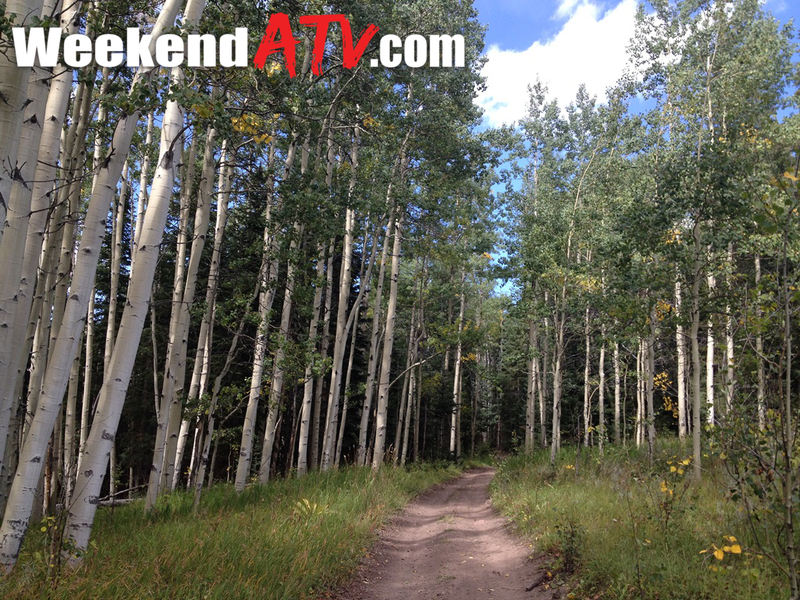 Registration can be done at forest ranger offices, Colorado State Parks registration units, and many OHV dealers. 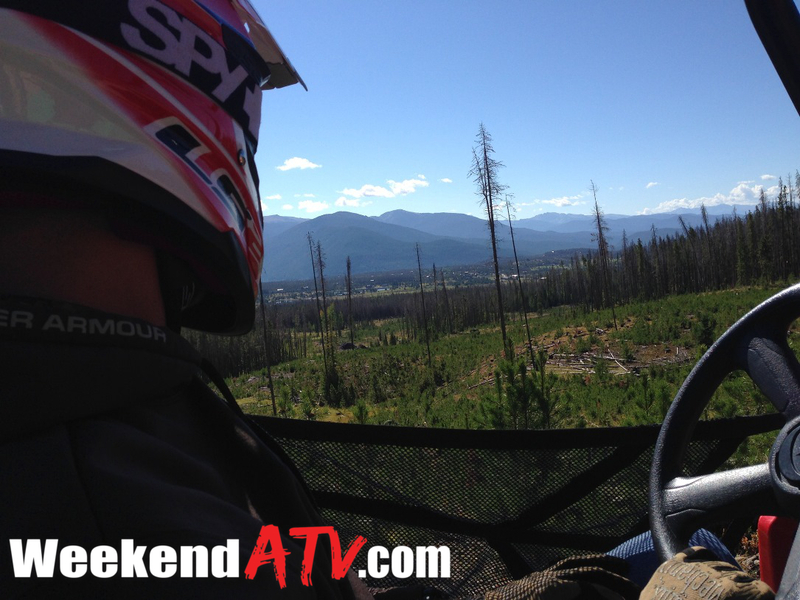 You can also catch up on other state requirements and OHV laws. Outside of the registration there is no fee for riding. For more details on riding at Arapaho National Forest see the USDA site at http://www.fs.usda.gov/main/arp/home. For rental information see OTTR at http://www.onthetrailrentals.com/. 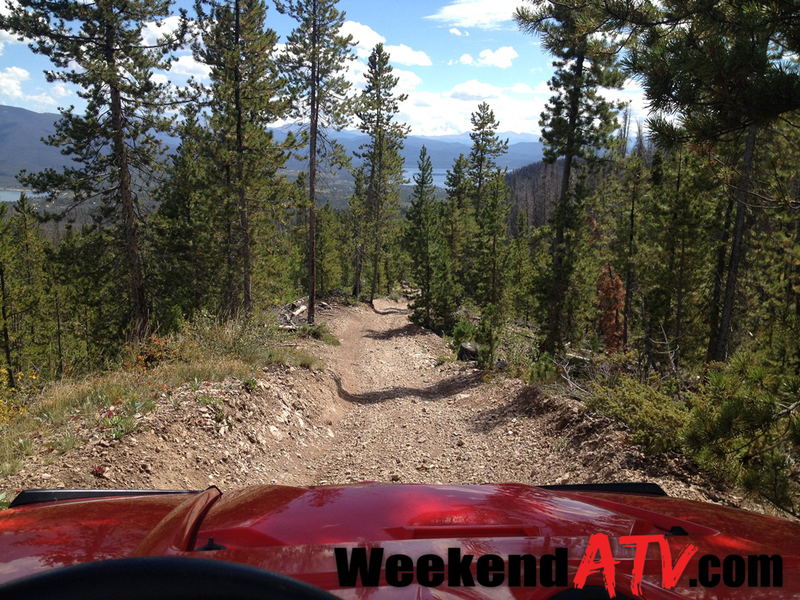 This entry was posted in Trail Review and tagged Colorado, mud, Polaris, RZR, trail by charlie. Bookmark the permalink.